Smart TV spying – are you watching TV, or is it watching you? Today’s smart TVs are spying on how we watch television, and their makers can earn money from it. When you agree to your smart TV’s T&Cs, you may not be aware that you’re permitting the manufacturer to snoop on how you use your TV – from the programmes you watch, to the websites you visit. This can have benefits – such as more personalised recommendations of things to watch – but data gathered on you and your family can also, in some cases, be used to provide targeted advertising on your smart TV’s homescreen. Is this an invasion of your privacy? Last year Jason Huntley, an IT consultant, found that his LG smart TV was tracking everything about him and his family. He was shocked to find his children’s names had been sent unencrypted over the internet to LG’s servers; taken from a family video he’d made at Christmas and then watched on the TV. After Jason published the story on his Doctor Beet blog, it hit the headlines, leading to a still ongoing probe by the Information Commissioner. We got in touch with Jason and he agreed to work with us as we investigated what smart TVs from LG, Samsung, Sony, Panasonic and Toshiba were tracking about their owners. Our investigation, published this week in Which? magazine, used widely available techniques to monitor the streams of data coming from both 2013 and 2014 models from each brand. We did various tasks, such as change channel, search the web and play videos from a USB memory stick, and then analysed what the TV transmitted. Tracking – all the brands track your viewing habits to some degree. We were pleased to see that most data is encrypted, meaning it’s hidden from hackers. However, a Samsung TV beamed our location and postcode un-encrypted when we first switched it on. Samsung said that location data is required to operate the TV, but we think there’s no need to take the entire postcode. LG has temporarily stopped tracking, but declined to rule out restarting it when we contacted the company. 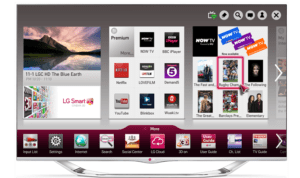 Advertising – Toshiba, Samsung, LG and Panasonic all serve ads to your smart TV’s homescreen. You can stop them from being based on your TV habits, but can’t block them entirely. LG and Toshiba told us that posting ads on smart TVs is ‘standard industry practice’, but Sony doesn’t have them on its TVs, so clearly it thinks differently. Terms & Conditions – what if you decline your TV’s T&Cs? Well, on Panasonic TVs you can’t use any apps or the web browser. On LGs, you lose apps, and on Samsung and Toshiba TVs, you can’t access the smart-TV services at all. Sony gives upfront options at the set-up stage to block the tracking, and you just lose content recommendations. All the brands we tested insist they are being transparent with what they’re doing, but we think they could do more. Remember, this isn’t a smartphone app that you downloaded for free; we’re talking about an expensive TV that will be in your home for many years. 1. Keep smart TV tracking to a minimum and encrypt any data on users that is transmitted over the internet. 2. Be 100% transparent and upfront about what is happening in terms of tracking, and why. 3. Allow consumers to opt out of tracking and still enjoy as much of the smart-TV features they’ve paid for as possible. 4. Give consumers a choice about whether to take ads on their smart TV homescreen. Amazon offers a discount on its Kindle Fire tablets if you agree to have ads on the tablet’s screensaver – shouldn’t this be the same for TVs?